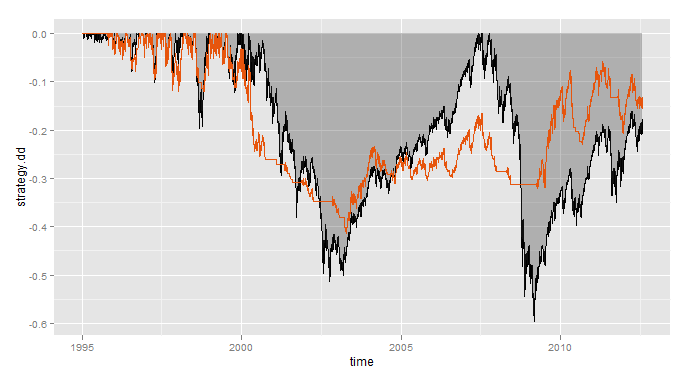 Here are some new additions to the plotting functions of the backtester. 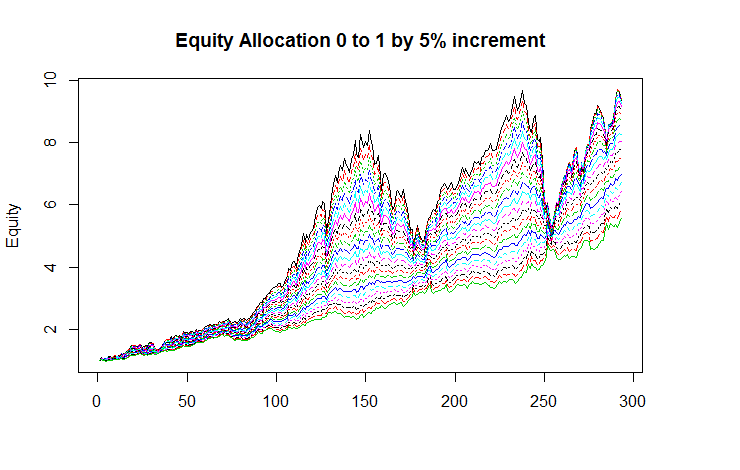 They are a great way of visualizing the performance of a trading strategy. 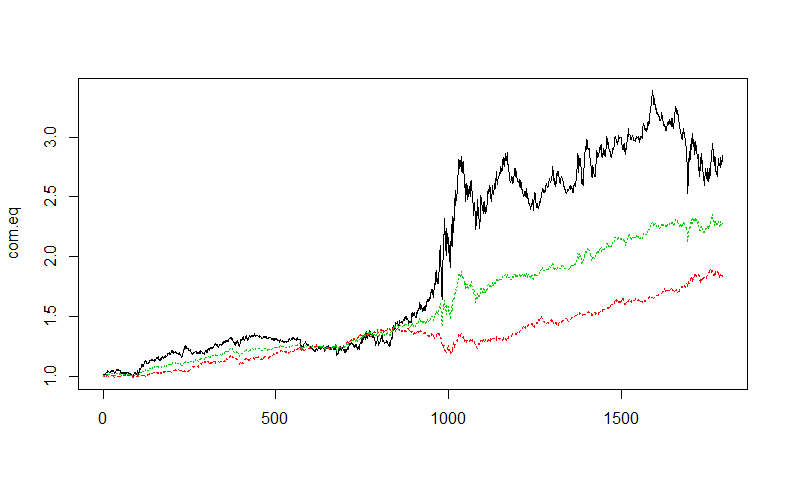 As I wanted ease and simplicity, all of the following plots can be done in one line of code. Each image is followed by the code that generated it. The first two plots are very self-explanatory. The third plot is called horizon plot. 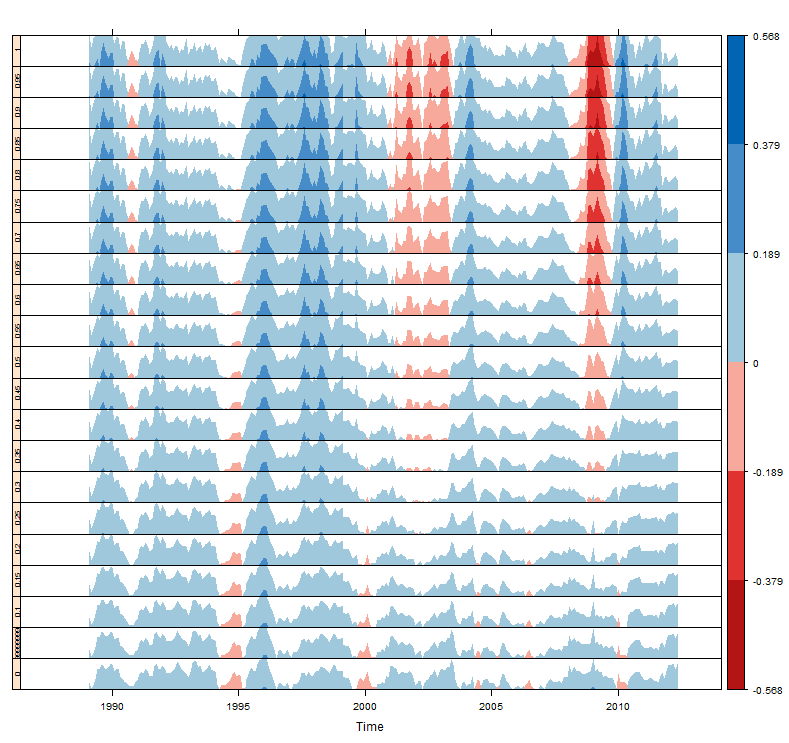 It is a compact way of visualizing time series data. The intuition behind the way I use it is to chart rolling n (250 in my case) period performance of a strategy relative to its benchmark. 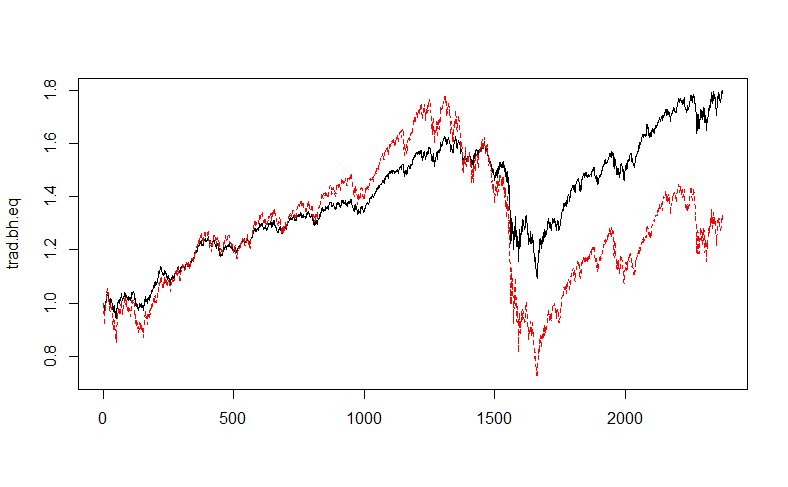 The darker the red, the more underperformance, while the darker the blue, the more outperformance. 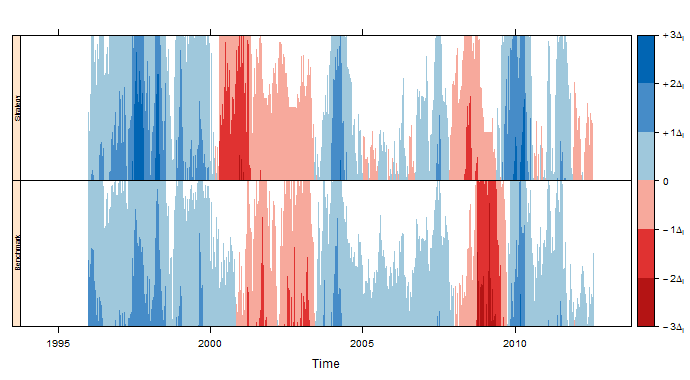 If you refer to the plot and look at the 2008 crisis, you can see that in general, the colour of the strategy is lighter in red compared to the benchmark, showing hedging at its best. 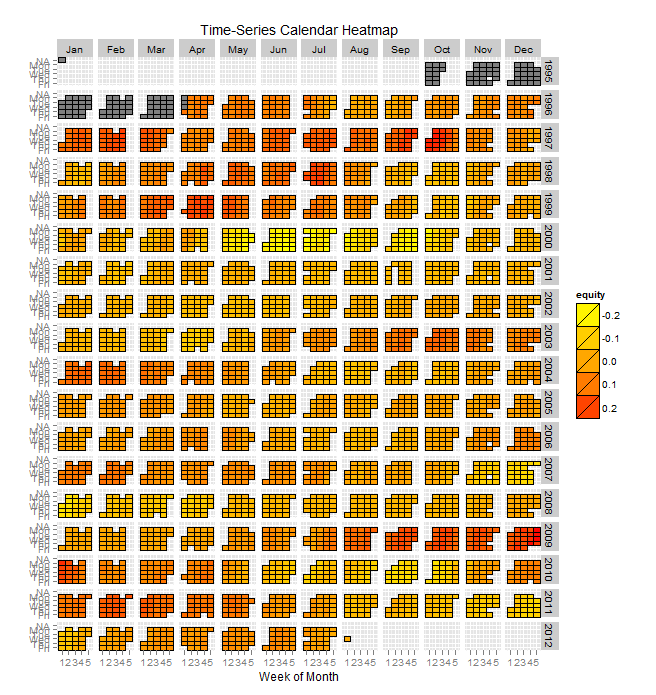 The last chart is a calendar heat-map. 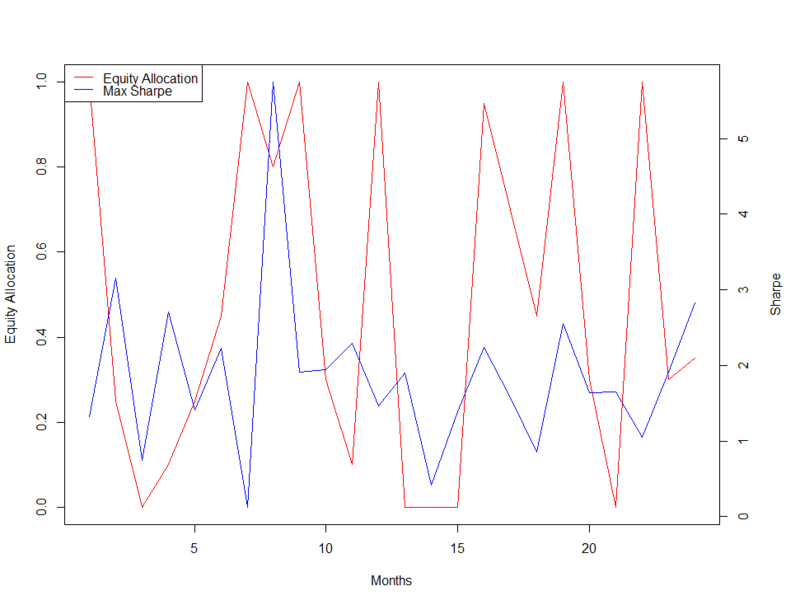 It plots the n-period log return for the entire test period and shows you how it has performed in different periods of time. 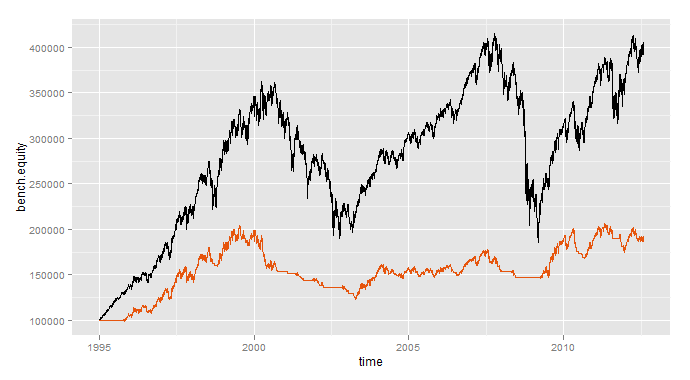 This plot is great for detailed consistency checking as it is a great way peeling in to the strategies performance as it cycles through time; a true time machine in my opinion. 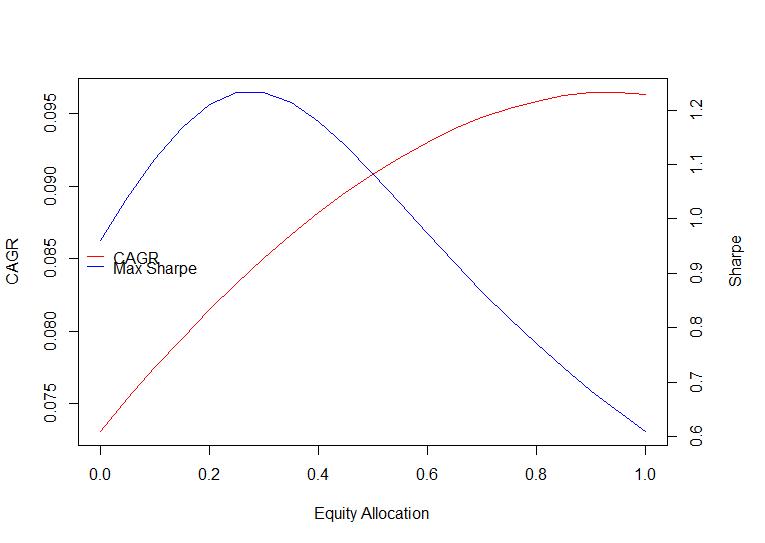 A creative performance measure derived from the calendar heat map is the percent of daily return above a user defined return threshold. The threshold by definition should be the risk free rate. When doing strategy comparison, the higher the percent of days of out performance, the better. Much more to come. Enjoy!